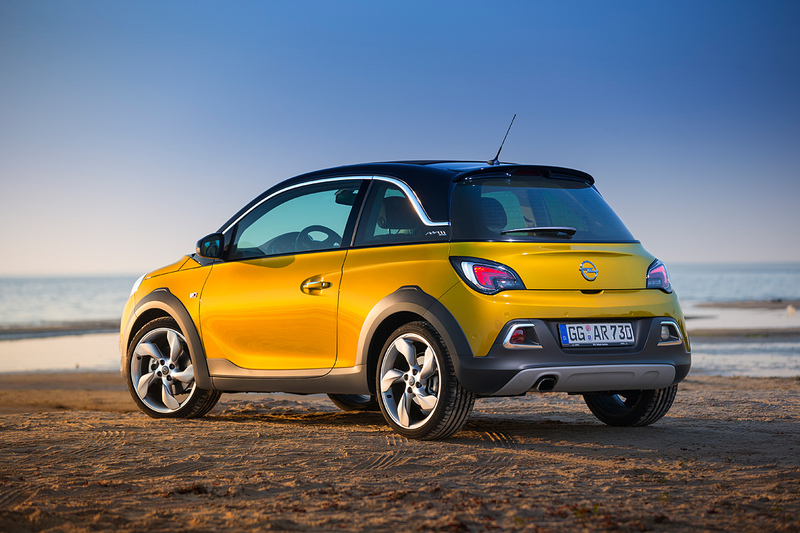 Opel Adam Rocks with its less than 4 metres length is definitely not a crossover. 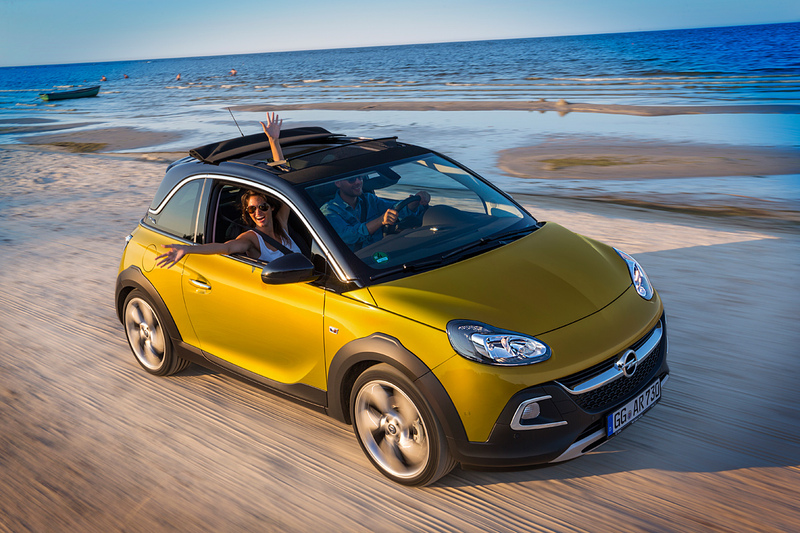 However, that’s exactly how it is being positioned by the Opel Company – “mini-crossover-cabriolet” and concurrently the “off-road version” of the urban Opel Adam model. 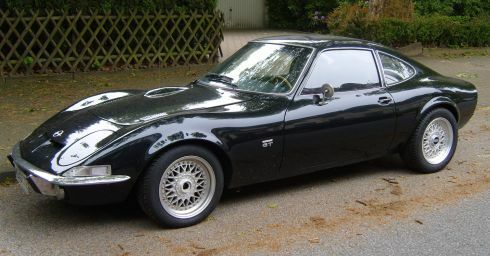 According to Opel designers the car’s silhouette is built with three lines: one flowing along the bottom of the door (called “Blade”), second encircling the knob (“shock wave”) and third fringing the chrome roof (unnamed). 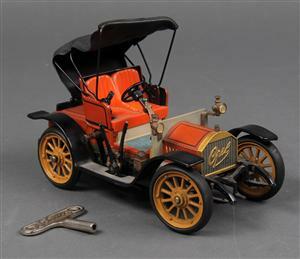 18-inch wheels, “floating” roof, acid colors and a wild variety of different trim materials. To complement all this variety, designers created a soft convertible “Swing Top” – a giant sunroof, covered with fabric roof. The roof folds electrically in about five seconds after pressing the button on the ceiling console, and you can easily manage it while driving. For summer time this would be just fine, and it probably should survive in winter as well. Customers will be able to choose from 17 exterior colors, 6 colors of the roof, 9 types of decoration for a false radiator grille, 6 interior colors, 17- or 18-inch wheels and so on. 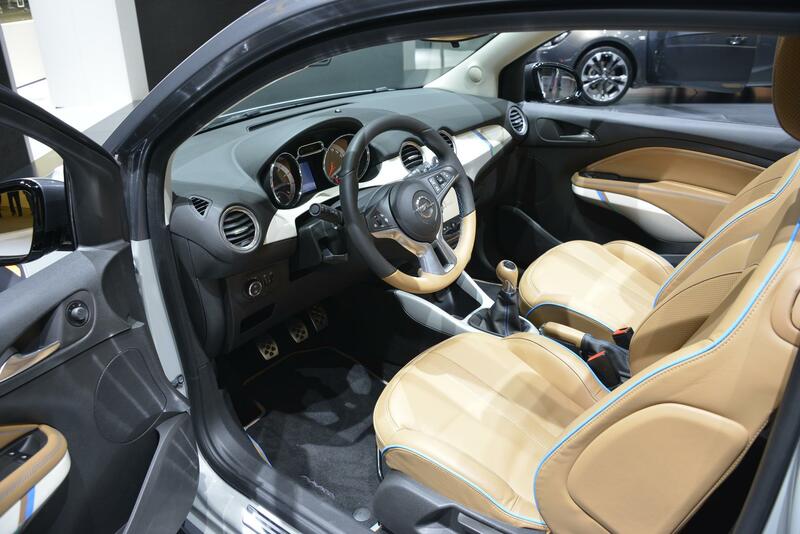 The interior is extremely practical: everything is in its place and nothing extra. Driving seat has an anatomical structure. Salon is executed in two colors matching with the gamma of external elements. Bright spots on the steering wheel and dashboard may be white, beige, with striped ornament and in carbon complimented with multi-colored fiber. And above all one should notice its high-quality materials, soft plastics, and even real leather for some of the interior parts. When holding a large steering wheel and counting all the buttons up to which you can reach, you realize – it has every options available in, let’s say, a business sedan: heating of a steering wheel, LED optics, multimedia center and piles of airbags. “All included” – even the silence in a cabin and the absence of vibrations. In exchange for some extra space for rear passengers and extra luggage, Opel Adam Rocks offers an easier search of parking spaces that are becoming increasingly deficient nowadays. Specifically for this mini-crossover Opel design office has created a new mini-engine “1.0 Ecotec Direct Injection Turbo” – thanks to the use of aluminum alloys it weighs only 106 kg. 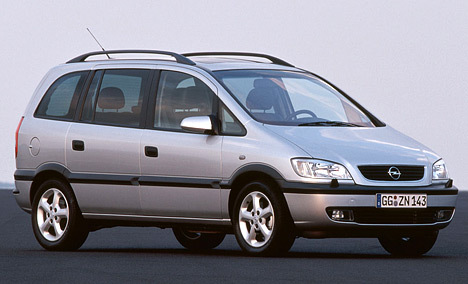 3 cylinders issue around 115 hp which is perfect for a city driving – a breakthrough from a standing start is guaranteed. The newest 6-speed manual gearbox (only 40 kg of gear wheels!) 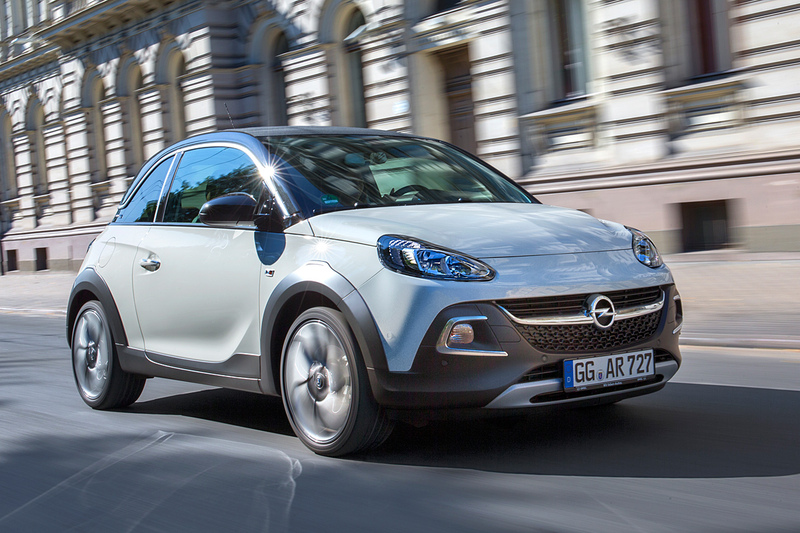 won’t spoil the experience of driving: Opel Adam Rocks withstands the urban flow of cars easily. It is expected that this model will benefit mostly in Germany, Italy, Britain, France and the Netherlands among the young and successful audience. 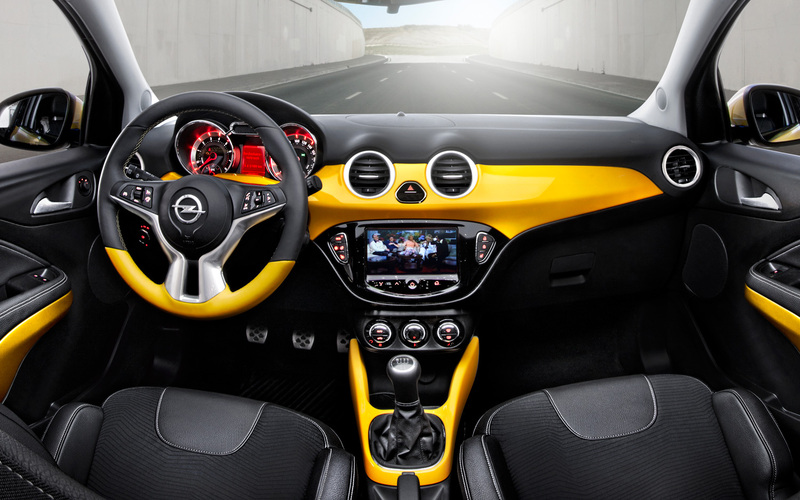 There are photos of the interior and exterior of the car Opel Adam Rocks category OPEL posted on the site. All photos of the car Opel Adam Rocks can be downloaded for free on the PC.